Studies have found that poor resource management, lack of time, going over budget, scope creep, inability to deliver on results and failure to take change in stride are all major pain points for individuals and organizations alike. Addressing these issues has become increasingly important and in response, TidalShift has recognized the need to establish a stable and solid foundation for Initiative and Project Management. We have found that refining these skills lends itself to a more effective organization and Getting Things Done. We work with clients to integrate a ‘right practice’ that fits the organization. We have found that there is a need for simpler project management processes where individuals and organizations can more effectively put their skills into practice and apply their knowledge. As a result, our initiative and project management programs create more consistency and standardization. We work with clients to understand their strategic corporate objectives and recommend the programs that best fit their needs and desired results so that companies and their employees learn how to run projects. The results are flexible, sizable and scalable. modular in design which allows us to easily modify or custom fit within your corporate requirements. Our curriculum allows you to Lift Your Organization by arming your leaders and teams with a foundational understanding of initiative and project management practices. We explain concepts that go beyond the fundamentals to ensure that best practice theory can be implemented practically in real world circumstance. Below is our suggested 5 day program. Our programs include individual and company assessments and coaching in order to sustain the learning. Each of our courses can also be taken individually and each program can be customized and tailored to fit your organization’s needs. As project management has gained worldwide recognition as a profession, so too has the need for standards and credentials. 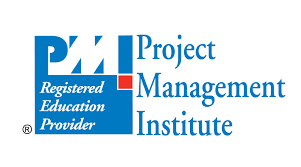 The Project Management Institute (PMI), the internationally recognized governing body for the profession, has established a number of certifications. Two of these core certifications are the Project Management Professional (PMP)® and the Certified Associate of Project Management (CAPM)®. These certifications require valid experience as well as writing a certification exam to achieve the designation. TidalShift offers exam preparation programs to ensure success in achieving either the PMP® or CAPM® designation. Our programs offer intensive knowledge preparation including sample exams and repetitive reviews to successfully pass the certification exams. All logos are registered trademarks of their respective organizations.